Asymmetrical septal hypertrophy is a common genetic cardiovascular disease. More commonly known as hypertrophic cardiomyopathy (HCM), this condition occurs when heart muscle walls enlarge, causing the walls of the lower heart chambers to become thick and stiff. This makes it difficult for the heart to relax and for a sufficient amount of blood to fill the heart chambers. Children with asymmetric septal hypertrophy are not allowed to play competitive sports because of the possibility of a sudden collapse or increased heart failure. Another name for asymmetrical septal hypertrophy is idiopathic hypertrophic subaortic. People with asymmetrical septal hypertrophy often show no symptoms. Unfortunately, the first sign of the condition may be sudden cardiac death caused by an abnormal heart rhythm. When symptoms do appear, they include labored breathing (dyspnea), dizziness, lightheadedness, muscular weakness, blurred vision, palpitations, fatigue, chest pain (angina) or fainting. Fainting usually occurs suddenly without any warning symptoms. Symptoms are highly variable, but when they occur, they usually develop when people are between ages 20 and 40. The cause of asymmetrical septal hypertrophy is not known. Many of the affected individuals have a family history of the condition. Therefore, having a positive family history is a major risk factor for being diagnosed with asymmetrical septal hypertrophy. A few other risk factors include underlying health conditions, such as thyroid disease and high blood pressure, smoking, and a sedentary lifestyle. 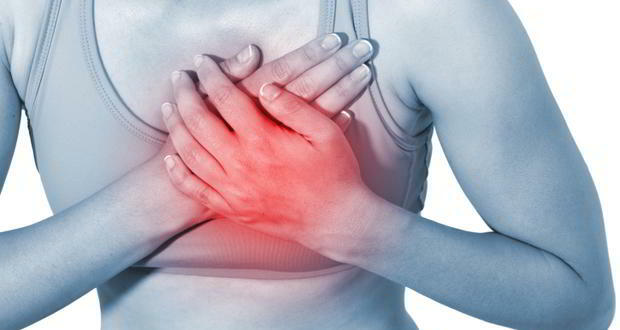 Abnormal heart rhythms can occur, which can cause sudden death. diet will help you to maintain a healthy weight. Fish that are high in omega-3 fatty acids such as salmon, tuna, mackerel, herring, and trout. Berries like blueberries, strawberries, cranberries or raspberries contain high amounts of heart-healthy phytonutrients and soluble fiber. Flaxseeds contain omega-3 fatty acids, fiber and phytoestrogens to boost heart health. Dark beans such as kidney or black beans are high in fiber and B-vitamins that are good for the heart. Red, yellow and orange veggies such as carrots, sweet potatoes, red peppers, and squash are packed with carotenoids, fiber and vitamins to help your heart. Asparagus is filled with heart-friendly nutrients such as beta-carotene, folate, and fiber. Tomatoes provide lycopene, vitamin C and alpha- and beta-carotene. Dark chocolate (at least 70 percent cocoa) is good for your heart health. Crisp, fresh broccoli are terrific heart-healthy veggies packed with vitamins C and E, potassium, folate, calcium and fiber. Drinking more than the recommended amount of alcohol can damage your heart health and can lead to high blood pressure. Alcohol is also a depressant, which can make feelings of anxiety or depression worse. Treatment is aimed at minimizing or preventing symptoms and reducing the risk of complications, such as heart failure and sudden cardiac death. Patients must abstain from highly vigorous competitive athletic activity and highly strenuous physical exertion, such as lifting very heavy objects. The heart condition may be treated with lifestyle changes such as eating a balanced diet and maintaining a healthy weight through exercise; medications; non-surgical procedures; and surgical implants, depending on the severity. Currently, there are no guidelines or methods available to prevent inherited forms of HCM. Asymmetrical septal hypertrophy, More commonly known as hypertrophic cardiomyopathy, is a cardiovascular genetic disease characterized by the enlargement of the heart muscle walls. This condition can lead to heart failure and sudden death. Maintaining a healthy weight is one of the ways to prevent this condition.